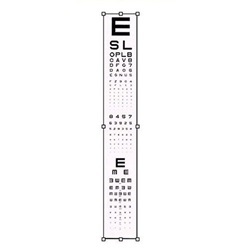 The adult acuity projector slide contains letters, numbers, and tumbling "E". Made of high quality photographic film, sealed between two pieces of glass. Manufactured by Stereo Optical. Comes as singles.